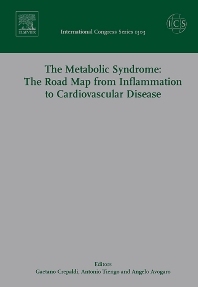 This collection of papers represents an edited version of the Proceedings of the 9th European Symposium on Metabolism which was held at the University of Padua (Italy) from October 12-14, 2006. As did the Symposium itself, this work unites under a single cover topics dealing with four important metabolic alterations: diabetes, obesity, hyperlipidemia and hypertension. Of vital interest to the scientific community because of their cost in human life and medical expenditure, the latest edition of this Symposium received much attention from investigators in these fields. The 2006 edition focusses on the most recent epidemiologic findings on the role of oxidative stress and of endothelial dysfunction on the development of atherosclerosis. Other topics of particular interest are: abdominal obesity, pro-inflammatory adipokines and atherogenesis; the metabolic syndrome and cardiovascular global risk; coronary and cerebrovascuclar disease in diabetes and in the metabolic syndrome. Finally, the management, prevention and treatment of the metabolic syndrome and its cardiovascular complications are examined in the light of several recent clinical trials in these fields. This volume will certainly be of interest to all those practitioners and specialists who are looking for a broad, though specific overview on several aspects of insulin resistance as a possible pathogenetic mechanism and a guide to preventing and treating the metabolic syndrome and its cardiovascular complications in their patients.